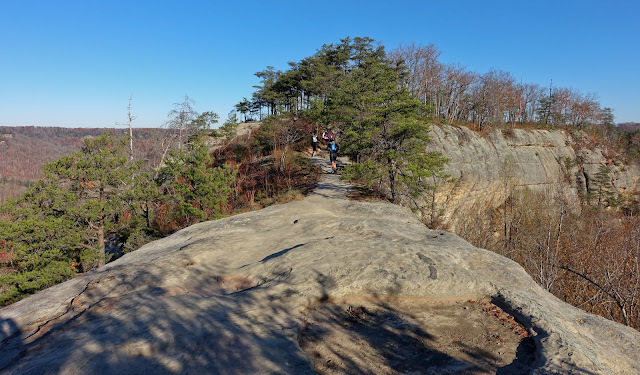 Were it not for Supreme Court Justice William O. Douglas, yesterday’s inaugural Rough Trail Ultramarathon in Kentucky’s Red River Gorge would not have been possible. 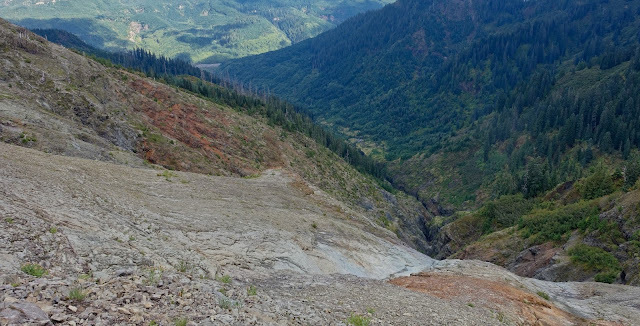 In the mid 1960s the Army Corps of Engineers had started construction of a flood control dam that would have transformed the gorge into a lake. After Douglas, an outspoken environmentalist, joined the Sierra Club’s opposition to the dam, the project was put on hold and eventually the Red River was declared a National Wild and Scenic River protected by federal law. 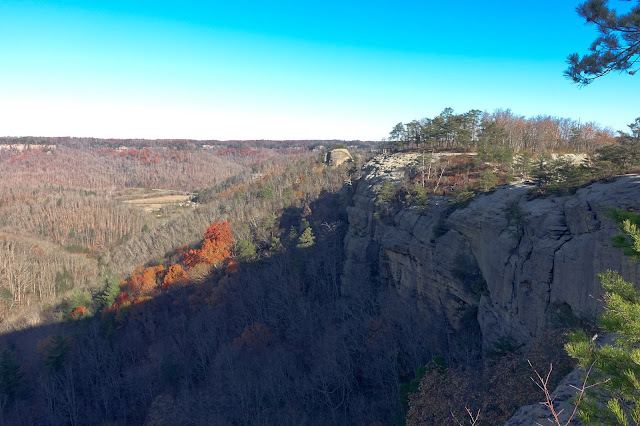 Today, the Red River Gorge is also designated a National Geological Area and a National Archaeological District. With approx.150 natural stone arches it ranks second only to Utah’s Arches National Park. The many rock shelters provided protection for the first people who lived in these woods 13,000 years ago. The outstanding scenery makes the Red River Gorge a great location for a long trail race. 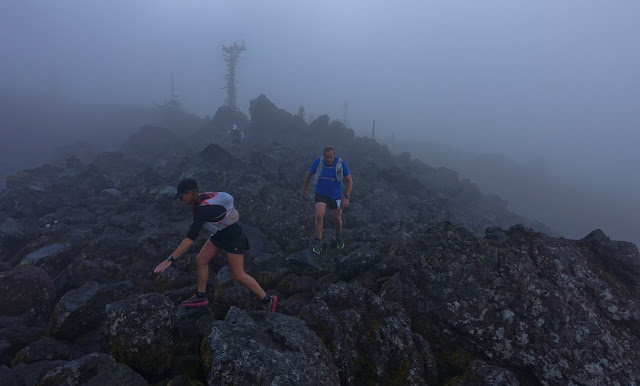 I have this theory that the more scenic a course is, the higher the finisher rate for any given distance: it would be a shame not to see and experience the race in its entirety. 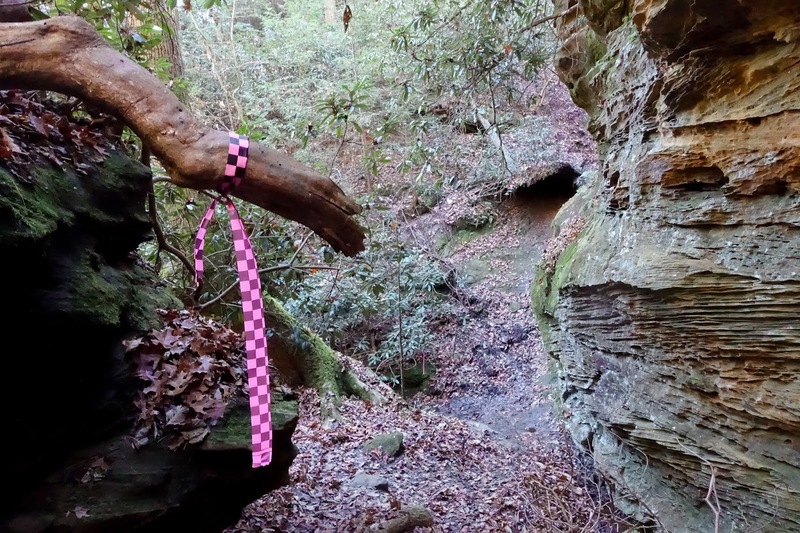 This also explains in part why courses comprised of several shorter loops tend to have a much higher drop out rate: you have already seen everything there is to see, and all that’s left to keep you going is the race itself. Of course weather can be a factor too. 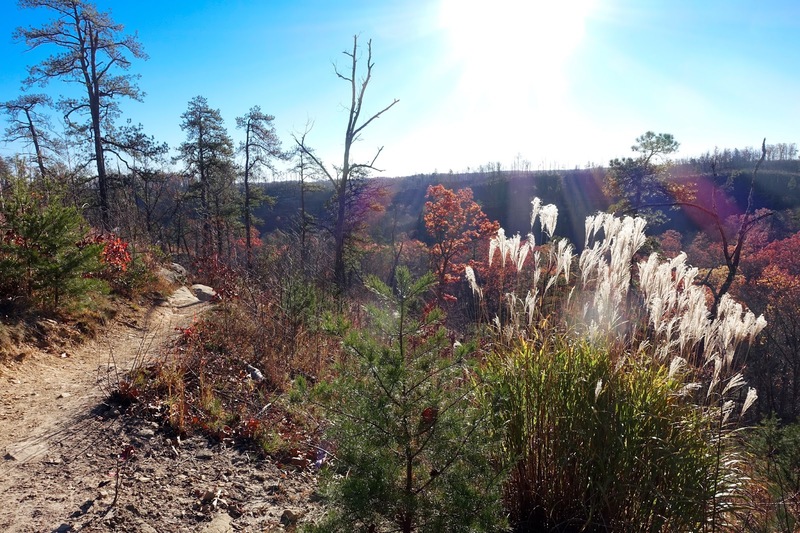 Yesterday, the conditions were absolutely perfect. Cool but not cold, brilliant sunshine, and no wind. Very little rain in the past two weeks meant that the numerous water crossings were easily passable – always something to keep in mind in a long event since wet feet are prone to blister. 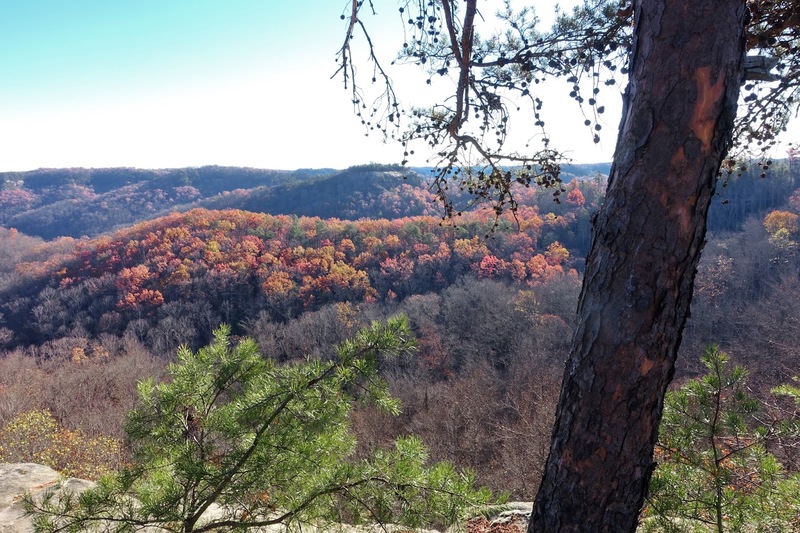 And the location in Appalachia was just far south enough that the trees on the warmer and sunny hilltops were still aglow in fall colors. If all of this makes this ultra sound like a walk in the park that is one big deception. Although, most definitely there was a lot of walking involved. 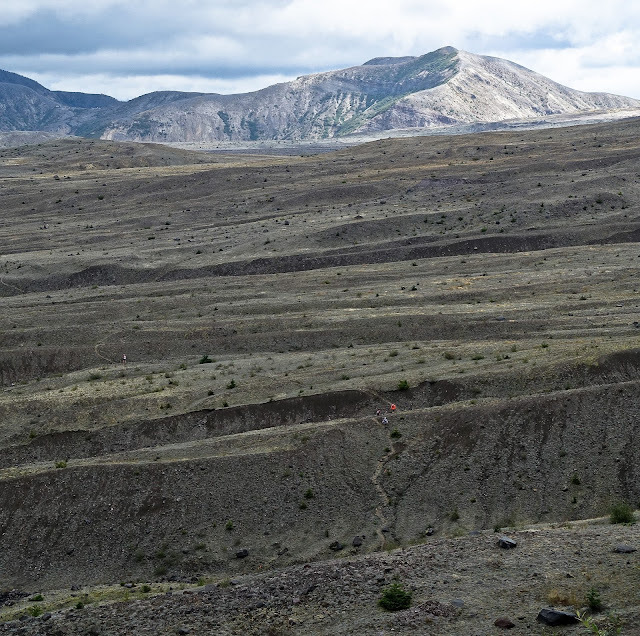 The gorge is about 600 foot deep and the trail dropped down to the bottom not fewer than nine times during the race, which meant it also climbed nine times back to the top of the rim. In total this meant more than 6,000 foot of climbing. 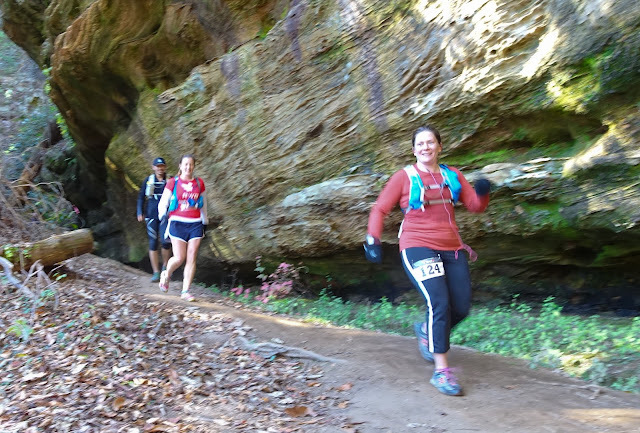 About half of it was run on the aptly named Rough Trail, a narrow and technical single track that was just about as gnarly as can be. 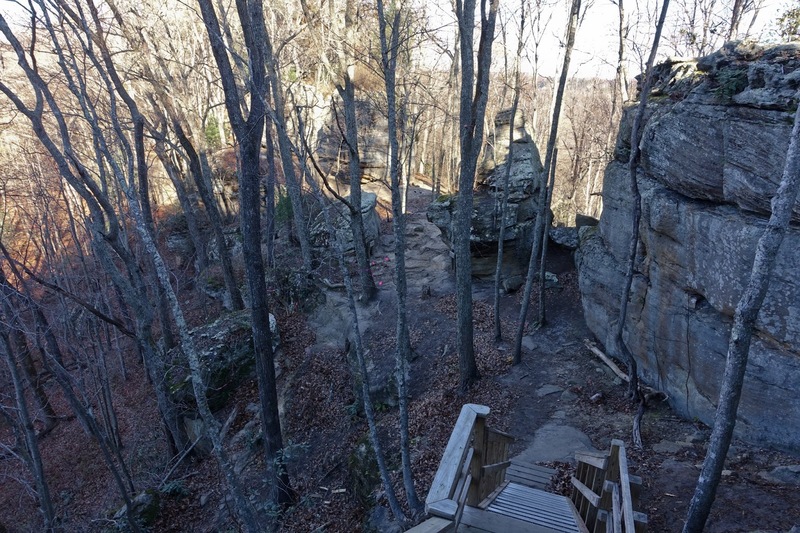 Its more prominent features included narrow rock ledges, steep and unforgiving wood ladders, creek crossings, dense vegetation, and a root ladder descent over sandstone slick rock. At the end we were also rewarded with some bonus distance: the total length of the course was almost 54km, about 7 percent extra fun. 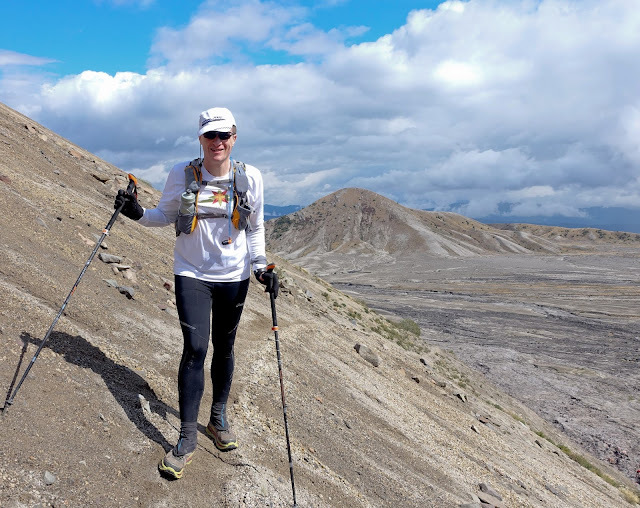 It did mess a bit with my head as I increased my pace towards the finish and found it quite difficult to maintain once I was past the 50km mark. Thanks to race director Mike Whisman and all the volunteers for setting up a terrific new course in one of the most scenic areas east of the Mississippi. Oh, and also to the late William O. Douglas. He would have been pleased to see us run in the very wilderness he helped save. 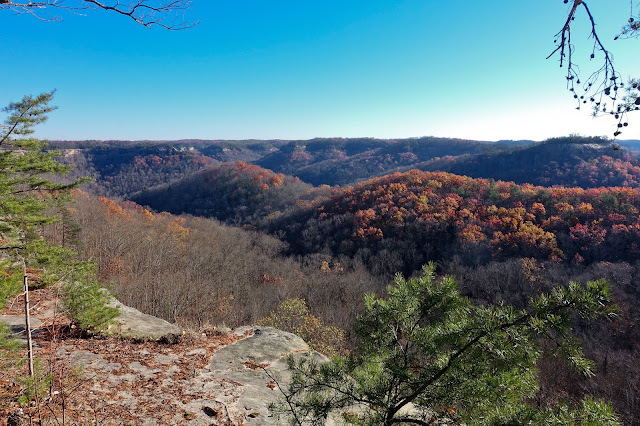 There's a reason it's called the "Rough Trail"
“First I must tell you that I count it no small wonder to be alive.” Thus began the captivating account in National Geographic Magazine of what happened to this mountain the morning of May 18, 1980. I was 13 years old, spellbound by Rowe Findley’s narrative of the largest volcanic eruption in the history of the United States, in which Mount Saint Helens lost her top, and 57 people lost their lives. So spellbound in fact, that despite my limited command of English, I worked myself through the entire report more than once. It was likely the first full-length English-language article in a major magazine I ever read. 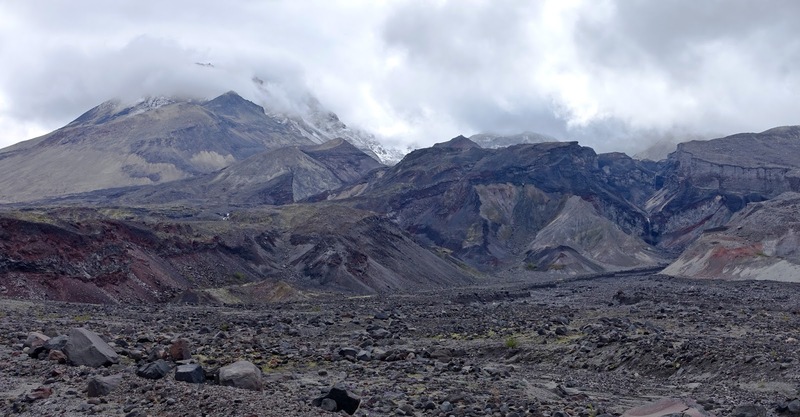 Mount Saint Helens, the "Lady of Fire", was 5,500 miles away from my hometown in Austria and yet I knew right then that someday I would travel all the way to Washington State and the Cascade Mountains to bear witness to the magnificent forces nature had set free. That day finally came last week, when, 35 years, three months, and 19 days after that fateful morning in 1980, I found myself at the starting line of the Volcanic 50, an ultra-marathon around the very mountain that was now missing its top. 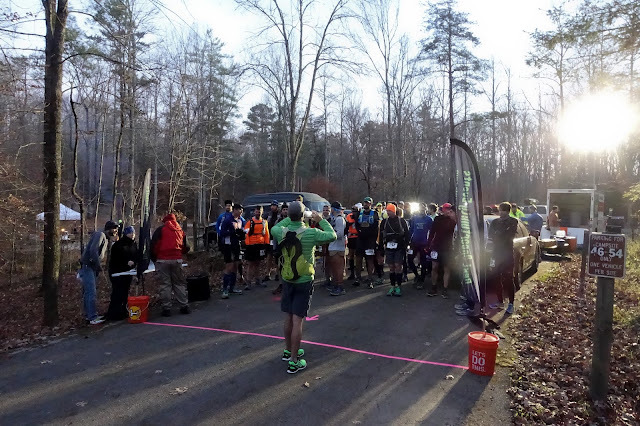 The atmosphere at the race start brimmed with anticipation as runners imagined the challenging day ahead. There was a palpable tension tinged with excitement – almost as if the mountain were about to stir once again. But before I knew it, the race was underway. “This is it”, I thought, remembering that those were the last words of geologist David Johnston, radioed to the US Geological Survey on May 18 at 8:32am, announcing the start of the cataclysmic event. The tension dissipated quickly as soon as everyone was on the trail. A long conga line formed heading into the clouds. After a gradual incline along a spur trail the course joined the Loowit trail, a rocky and rugged single-track that circumnavigated the entire mountain. 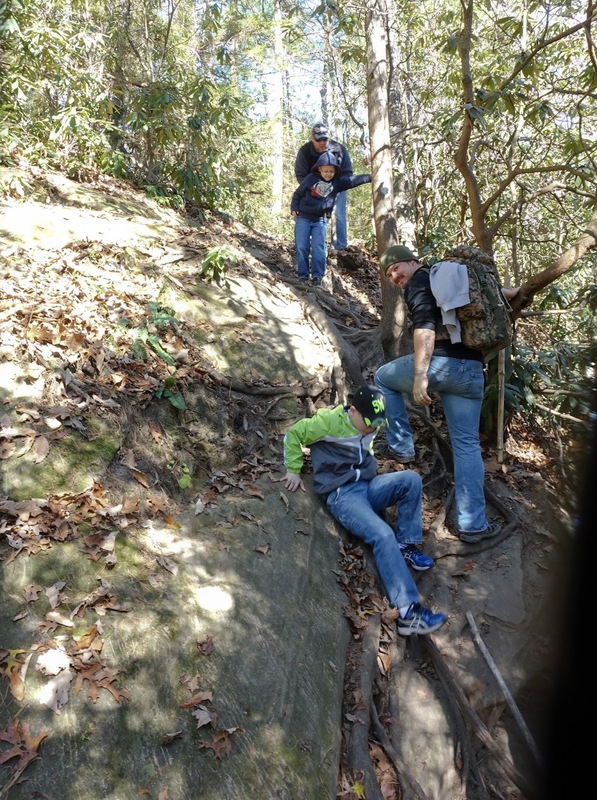 The climbing began in earnest. 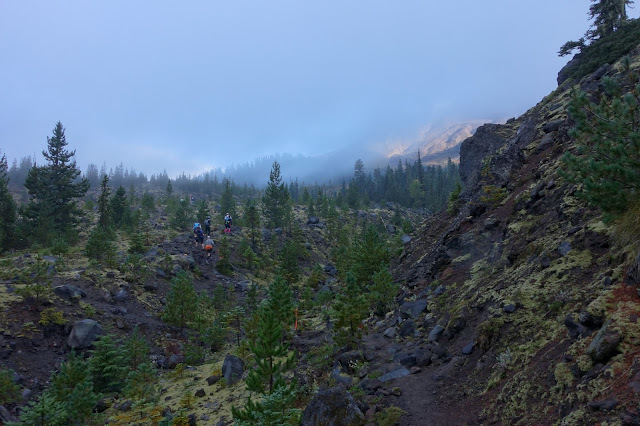 I could briefly see a flank of the mountain in a window between the clouds but soon the gap closed and the trail was once again cloaked in mist. 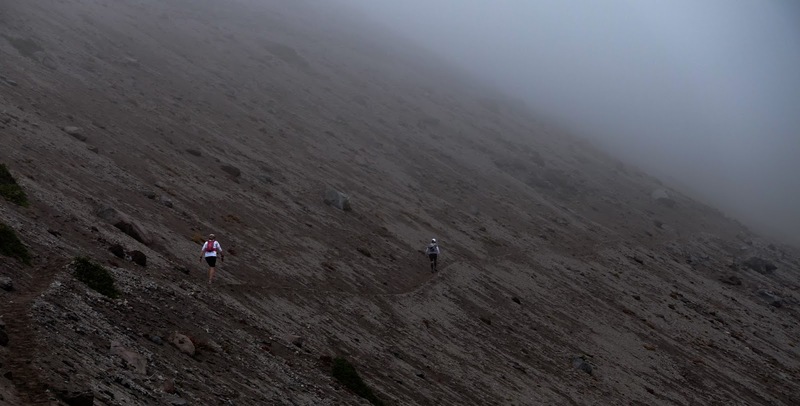 Thick fog clang to the rocks as I reached the first boulder field. It was a surreal sight. Massive rocks were piled on top of each other. A few forlorn tree-skeletons miraculously remained standing amidst all the destruction as a group of ghostly “runners” gingerly picked paths across this desolate wilderness. After a while the fog lifted but the difficult footing continued. Rays of sunlight streamed through the clouds, opening views across the slope. Fitting the scene, the tree-skeletons were gone and replaced by young fir trees wondrously growing right out of the rocks. 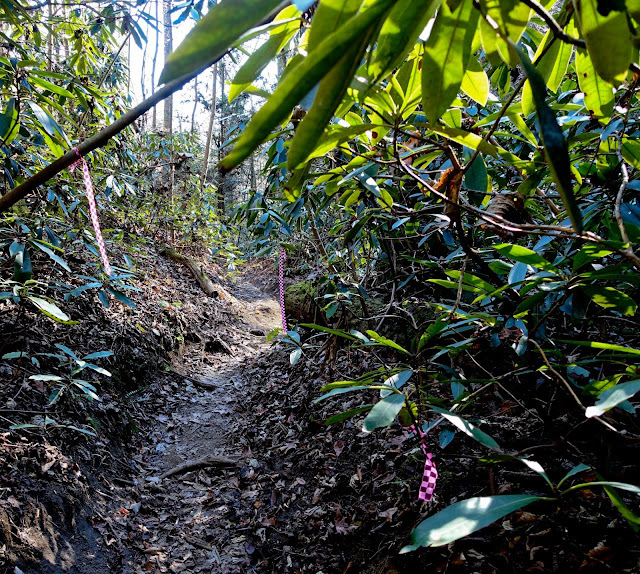 Eventually, rocks gave way to sand and softly padded wooden soil – a trail runner’s delight! 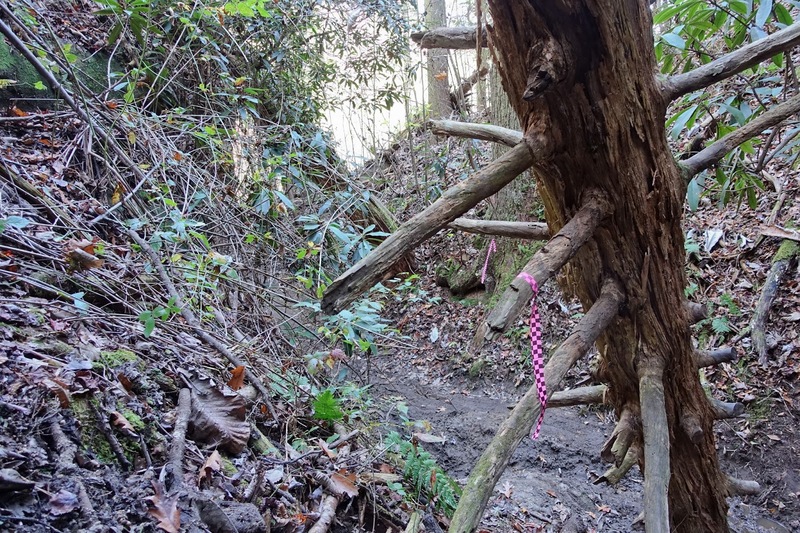 However, the forested sections harbored an unexpected hazard of a different kind: aggressive ground wasps. 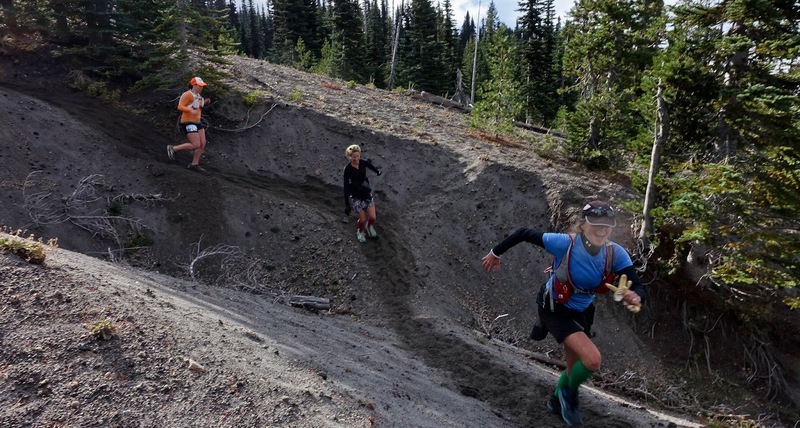 I was usually alerted to their proximity by shrieks of runners getting stung on the trail ahead of me. Some runners were hit hard with one of them getting stung as many as 17 times. I don’t know if the wasps didn’t like me or if I just got lucky, but if it had not been for the shrieks, I would not even have noticed them. 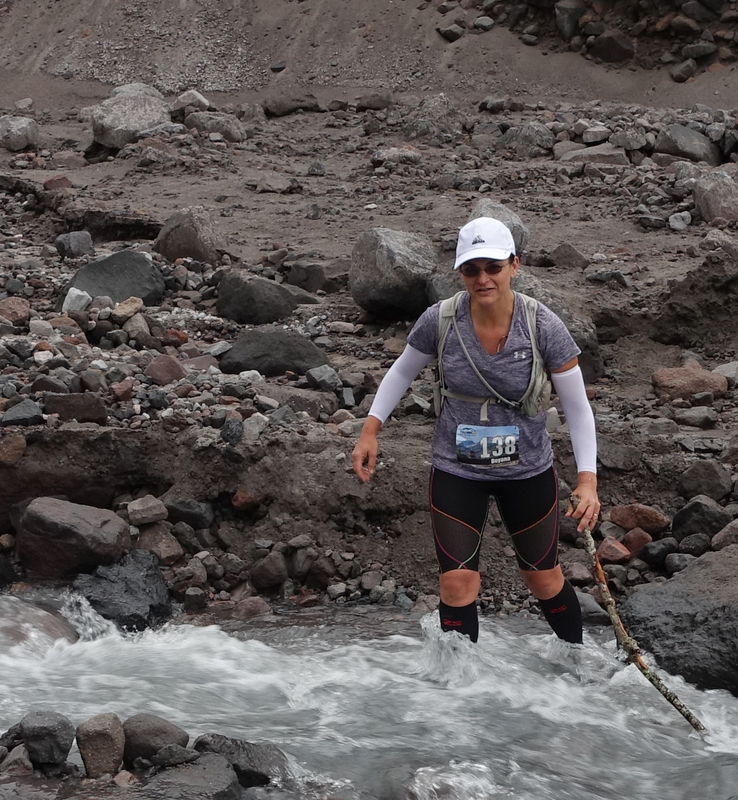 The next obstacle was the crossing of the Toutle River just after the second aid station. 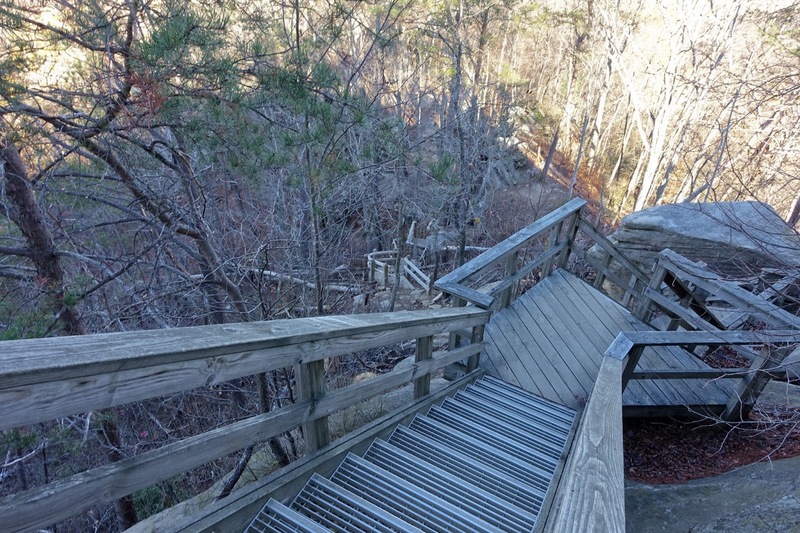 My hiking poles aided me in some minor rock-hopping acrobatics to get across the river without soaking my shoes. I was thankful because my feet are prone to blister when wet. The climb out of the riverbed was steep, sandy, and slippery but a rope – which we were warned not to rely upon – assisted the scramble. 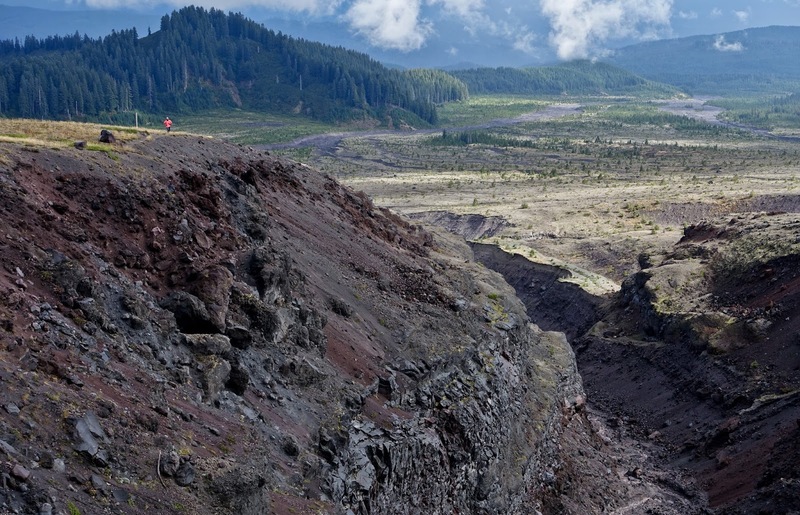 Colorful views of the Toutle River Valley opened up just before the trail climbed once again into the clouds. Traversing a steep and barren pumice field, I felt wholly immersed in the desolate wilderness as I headed deeper into the blast zone. The blast zone is an area north of the volcano that was completely flattened within seconds after the volcano’s eruption. The blast’s velocity reached speeds of up to 670 miles per hour, just shy of the speed of sound. 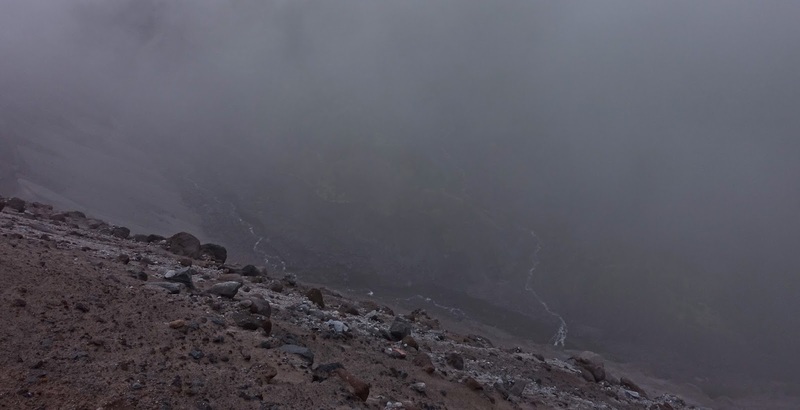 Rock, ash, and hot gases racing away from the mountain devastated an area of about 230 square miles. The blast was widely heard hundreds of miles away in the Pacific Northwest, including parts of British Columbia, Montana, Idaho, and northern California. 35 years after the explosion life has returned to the blast zone. I found the area dotted with grasses, shrubs, and several species of wild flowers. One day, the great chief Tyee Sahale wanted to reward Loowit for her faithful service by bestowing upon her eternal life. Loowit was devastated that she would have to live forever as an old hag and so the chief granted her wish to be young and beautiful. This made her the subject of great attention. Unfortunately, the chief’s own sons, Wyeast and Klickitat, both fell in love with her. Unable to choose between them, the sons had a tremendous fight over her, burning down forests and villages. The colossal destruction made the great chief so angry that he destroyed the bridge and smote the three lovers. Where each lover fell, he raised up a mighty mountain. 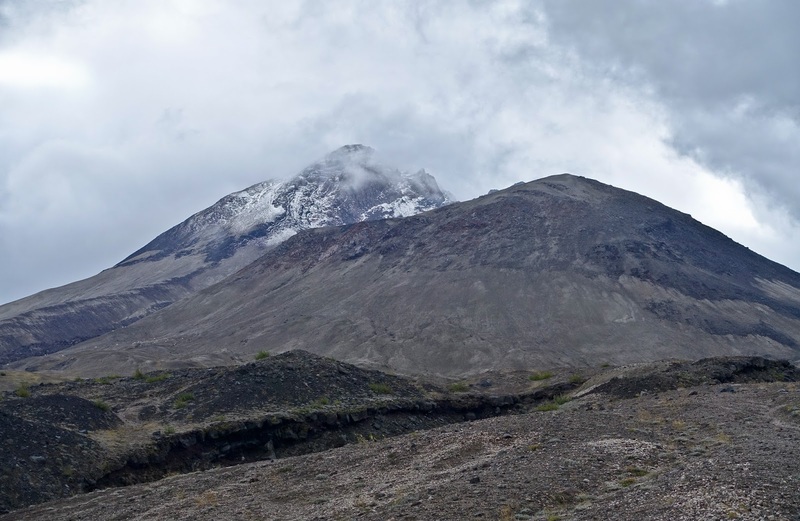 Because Loowit was beautiful her mountain (St. Helens) was a symmetrical cone, dazzling white. Wyeast's mountain (Mount Hood) still lifts his head in pride. Klickitat, despite his rough ways, had a tender heart. As Mount Adams, he bends his head in sorrow, weeping to see the beautiful maiden Loowit wrapped in snow. An area called “the Breach” offered the most spectacular reminders of the power that was unleashed by the explosion and subsequent landslide, the largest debris-avalanche recorded in historic times. 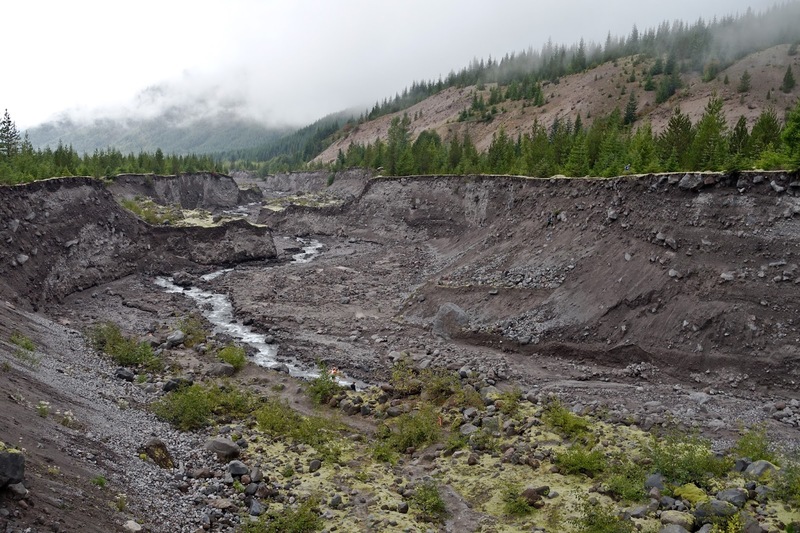 The avalanche moved downslope at speeds of 110 to 155 miles per hour. Part of it surged into and across Spirit Lake eventually raising the lake’s bottom by 300 feet and the water surface by 200 feet. 4 miles north of the summit, the front of the avalanche still had sufficient momentum to flow over a ridge more than 1,150 feet high. The elevation of the mountain's summit was reduced from 9,677 feet (2,950 m) to 8,363 feet (2,549 m), replacing it with a 1-mile wide horseshoe-shaped crater. 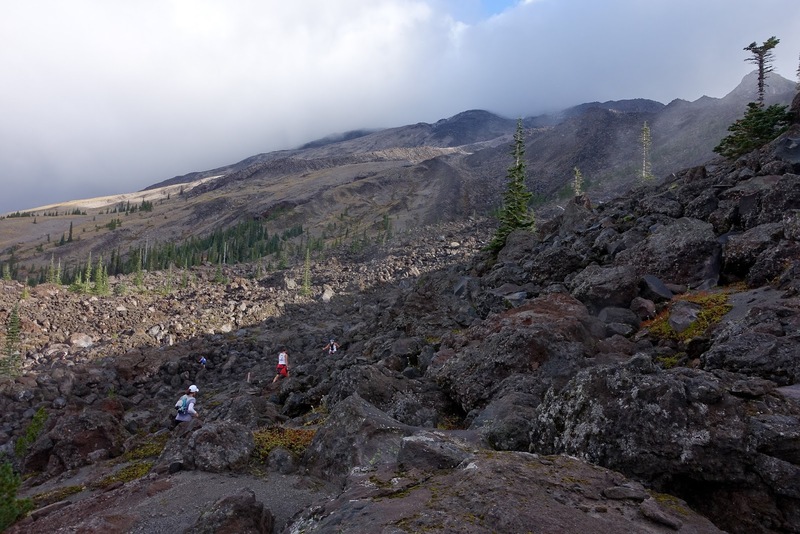 As I passed through the blast zone I continued to glance to my right, towards the top of the mountain. It had remained stubbornly hidden among the clouds, when, suddenly, if only for 10-15 seconds, the clouds lifted enough for the summit to come into view. High on the slope I even spotted a herd of mountain goats. The trail continued to ascend and views of Spirit Lake opened up to my left. I could see tens of thousands of trees that were felled 35 years ago still floating on the surface in the lake’s distant northeastern corner. Amidst all the sightseeing and picture taking I almost forgot that I was actually in a race. As I left aid station three and climbed over Windy Ridge I remembered the 9-hour cutoff at aid station four. Some quick math revealed that I was in no danger of missing the cutoff and so I decided to continue at my leisurely pace without regards for my standing in the race. 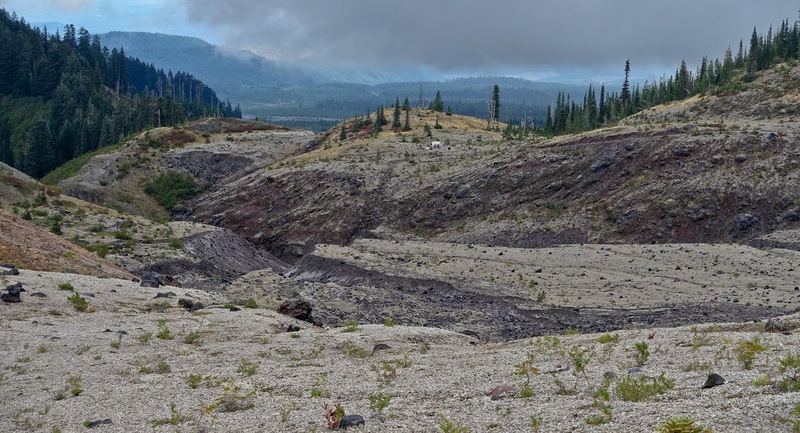 The next part of the trail led me down into the Plains of Abraham, a flat expanse of barren, ash-strewn meadows that is only just beginning to recover from the devastation wrought by the eruption. On the south side the plains gave way to a sharp drop into a steep canyon, while the trail skirted along the rim before gradually dropping to the last aid station. 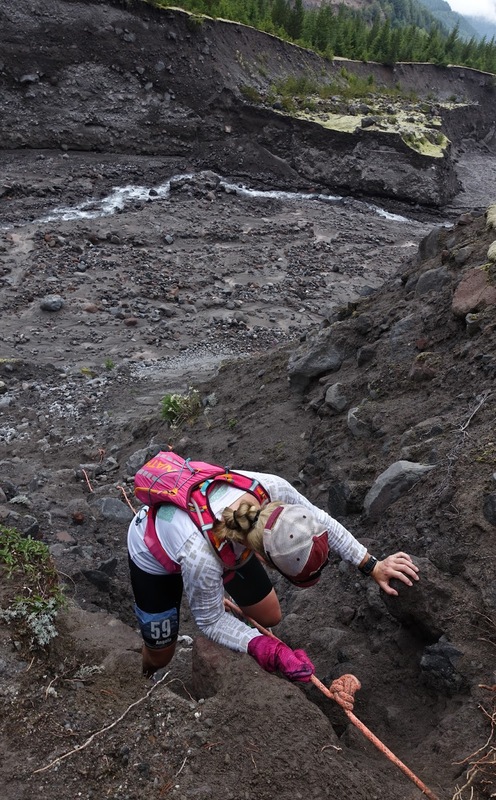 Each of the four aid stations was extremely well stocked and organized despite the fact that none was accessible by motorized vehicle. 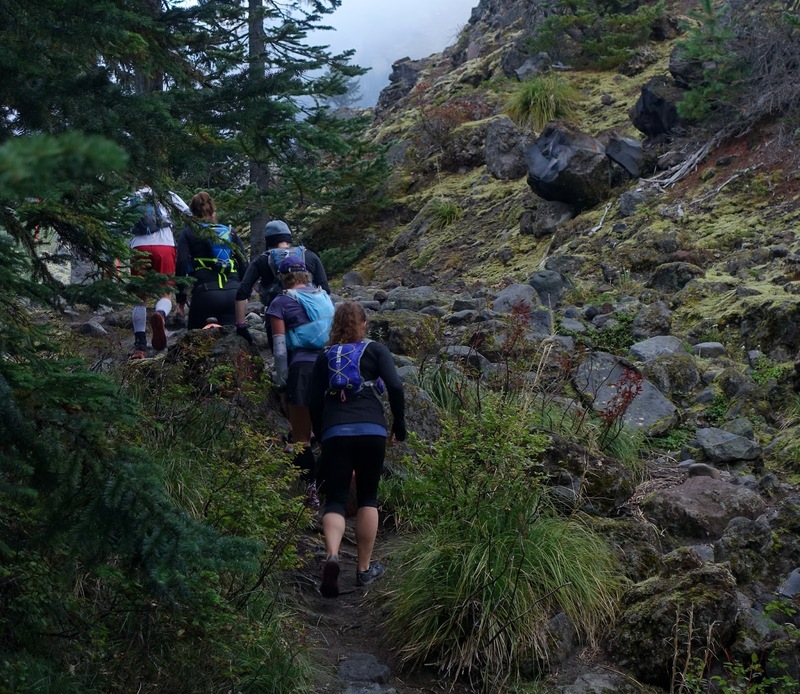 The amazing volunteers had carried all the food and drinks for more than 200 runners over steep and technical terrain for several miles up the slopes of the mountain. They were the true athletes of this race and their positive attitude was both infectious and astounding. 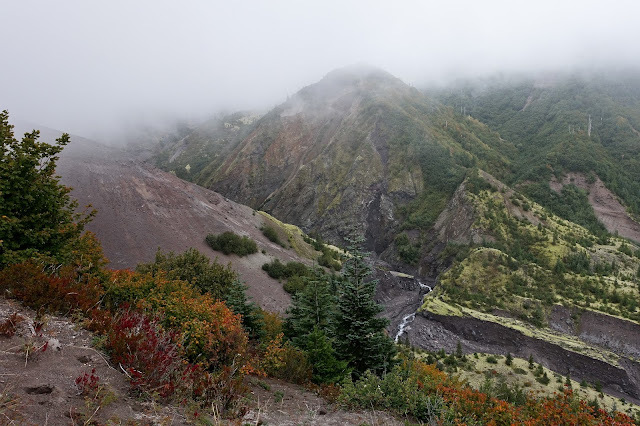 The clouds dropped lower and light rain began to fall as I continued along the steep eastern slope of the volcano. 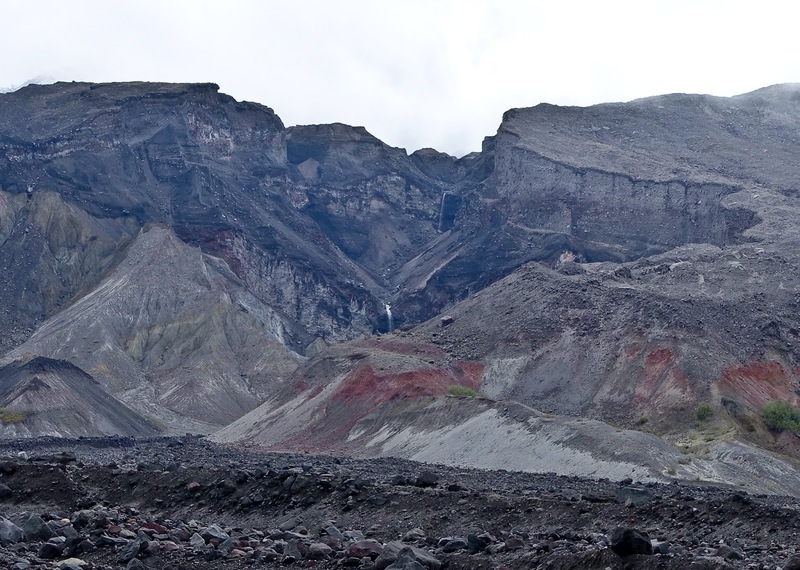 Streams had dug deep gullies into the loose, colorful, and mineral-laden soil. 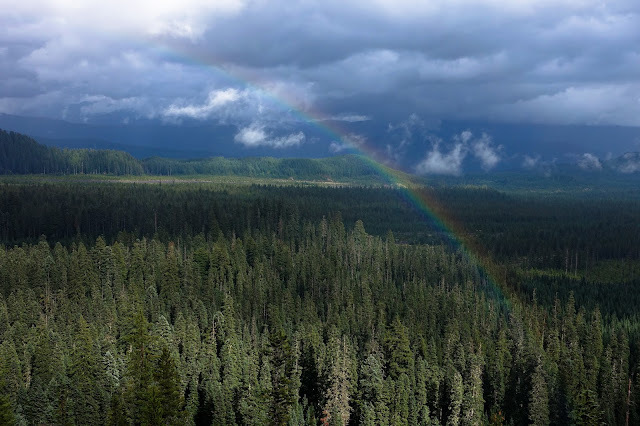 Shortly before the trail dropped back down into the woods, the sun broke through and a rainbow stretched across the valley. Close to the end of the loop on the south side the trail crossed another boulder field before finally reaching the soft forest track of the spur trail towards the finish. I had another 2 ½ miles to go but running on the graded downhill path was sublime. With the mountain views behind me, I clocked my fastest pace of the entire race, passing several other runners on the way. All in all I spent 10 hours and 44 minutes out on the 54km course, much longer than on any of my other 50ks. I enjoyed every minute, grateful that I was able to see and experience the mountain myself and marvel at the magnificent forces that nature had unleashed.